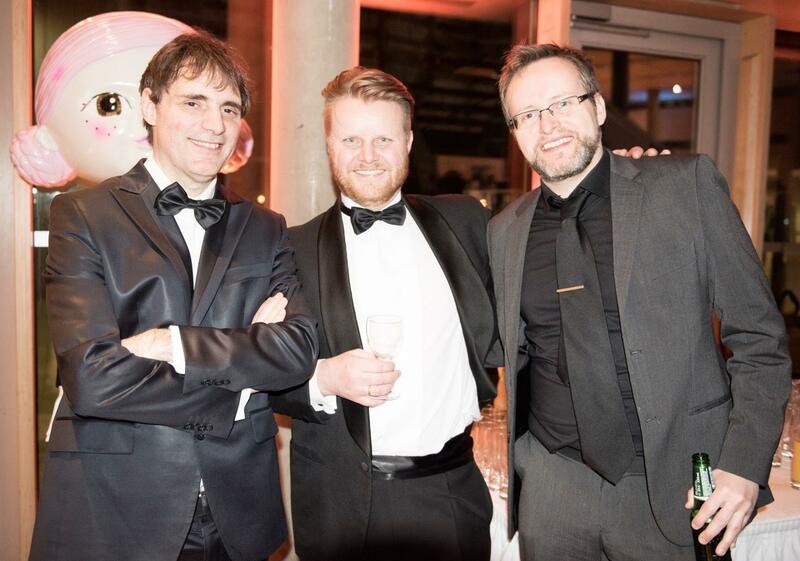 IFMCA members Stefanos Tsarouchas and Thor Joachim Haga were present at this year’s Harpa Awards in Berlin, Germany. 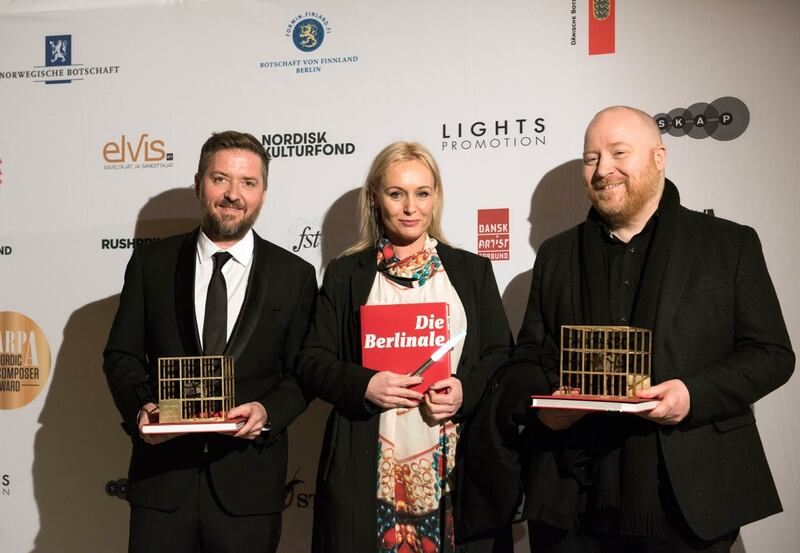 On February 15, the Nordic film music industry once again gathered to celebrate the best scores of 2015 during this year’s Harpa Awards and the Nordic Film Music Days in Berlin, Germany. This event has previously been hosted in different Nordic countries, but was moved to coincide with the Berlinale film festival this year. Unlike the last Harpa award in Helsinki, Finland (read report here), there was no symphonic concert to cap off the proceedings, nor any seminars or international guest composers. Instead, a red carpet event was hosted at the Nordic embassies in the German capital. 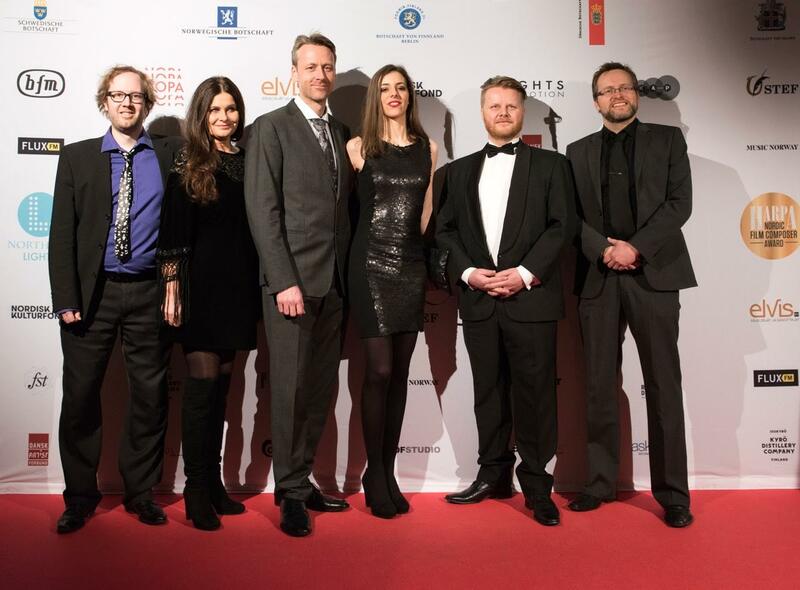 This is an exclusive gala event not open to the public – mostly intended as a mingling party for composers and industry – but still managed to attain a level of importance and a necessary window for the Nordic film music scene. Another new feature was a collaboration with the event Northern Lights Talents, promoting Nordic actors and actresses. The ceremony was hosted by Danish composer Halfdan E and Linda Steinhoff of Northern Lights Promotion. 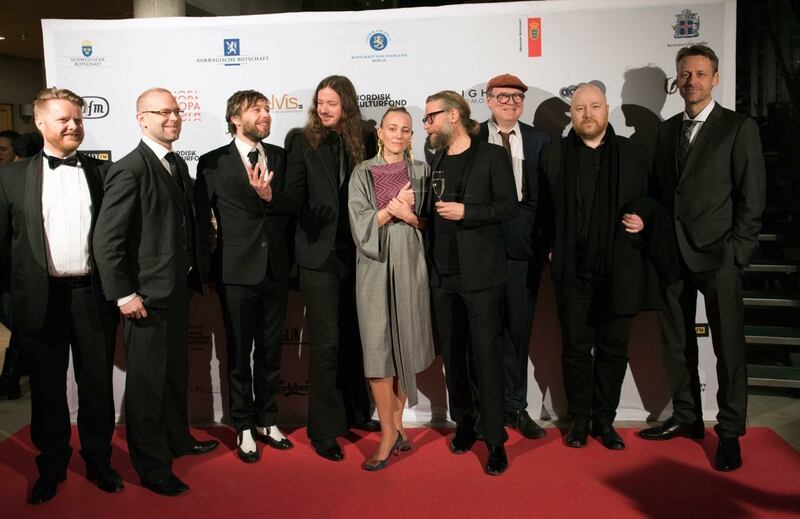 Unsurprisingly, given the popularity of Icelandic films and culture these days, the winners were Atli Örvarsson for Rams in the first category, and the Oscar-nominated Johann Johannsson in the second. While both are brilliant composers deserving of their award, it also begs the question if there is a tendency, more generally, to overrate the ‘exoticism’ of Iceland at the cost of a more levelheaded filmatic or musical evaluation. In particular, it seems like a “Nordic sound” (if there is one) is often associated with the more exploratory, ambient textures of the island nation. In the jury were Thomas Robsahm (Norway), Konrad Sommermeyer (Germany) and Christine Auf Der Haar (Switzerland). After the ceremony, a big party was held at the second floor of the embassies, featuring a live performance of selections from Idealisten by composers Jonas Struck and Asger Baden. Present at event were IFMCA member Stefan Tsarouchas and Thor Joachim Haga. Stefan interviewed several of the visiting composers, while Thor was there primarily as a member of the Norwegian pre-jury. 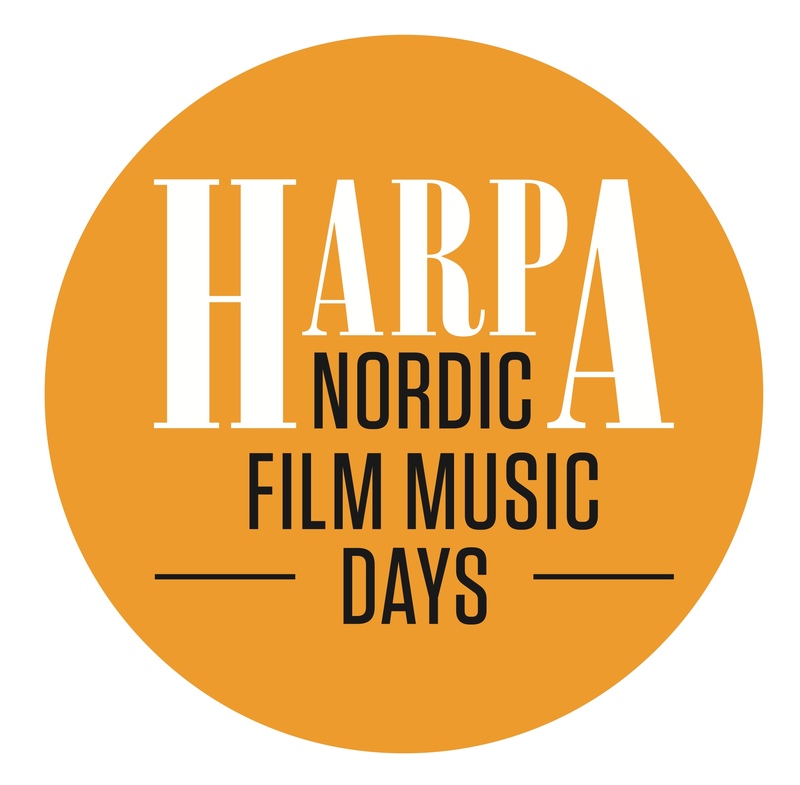 This year’s Nordic Film Music Days and Harpa awards was a leaner version than previous years, for which there might be economic reasons. I miss the seminars and the lush concert, and one or two international ‘film music stars’ to add a pinch of glamour to the proceedings. Still, as long as it’s an internal event, it makes the content more focussed and to-the-point. There are arguments to be made for both sides. In either case, the collaboration between the Berlinale and the Nordic Film Music Days seems to be set for the foreseeable future. We’re already looking forward to next year!